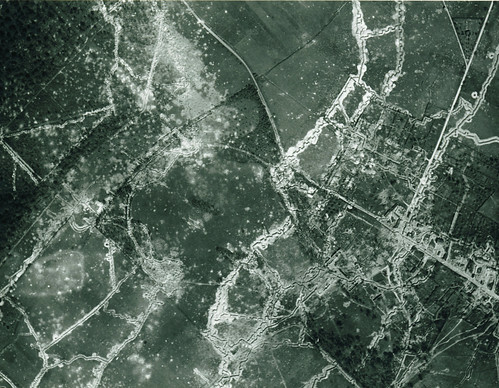 Thiepval was one of the largest villages on the Department of the Somme before 1914. It sat on a long ridge-line and was dominated by a substantial chateau which employed a large number of estate workers. The German advance reached Thiepval in September 1914 and it became part of the battlefield for much of the rest of the war. Assaulted by British troops on 1st July 1916, it would take until 26th September before the village, or what remained, was finally captured. Fighting returned in 1918 and when the conflict ended the family who had resided in the chateau had died; it was never rebuilt and most of the pre-war population of Thiepval never returned as their employer was no more. 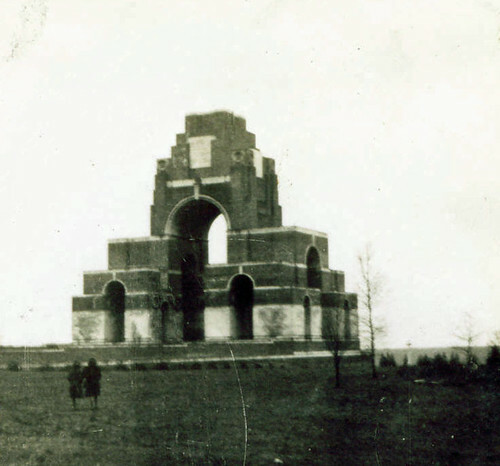 The Thiepval Memorial to the Missing is one of several on the battlefields of the Great War that commemorate those who died and have no known grave. At the end of the conflict there was a vast legion of missing soldiers and the then Imperial War Graves Commission decided that the best way to remember them was to build vast memorials in stone listing the names of the missing. Thiepval is the largest of these both in terms of the number of names – originally there were almost 73,000 – and its physical size, the memorial rising more than 140 feet from the Somme fields. It is located on ground formerly part of the chateau grounds, although not on the site of the chateau itself. Designed by one of the commission’s chief architects, Edwin Lutyens, work on the memorial began in 1928 and it was official unveiled on 1st August 1932 when thousands came from Britain to attend. British troops visited the memorial during the so-called ‘Phoney War‘ in 1939/40 and during the German occupation German troops occupied the top of the monument, although locals were still allowed to visit it. The memorial was liberated by British troops in September 1944 and post-WW2 it became a focus not only for battlefield visitors but the remaining veterans. On 1st July 1966, on the 50th Anniversary, Dakota aircraft flew over the memorial and scattered it with poppy petals. By the early 1980s the original brick facing of the memorial was in a poor condition. The original bricks had come from Lille and in the 80s they were replaced by Accrington Brick. 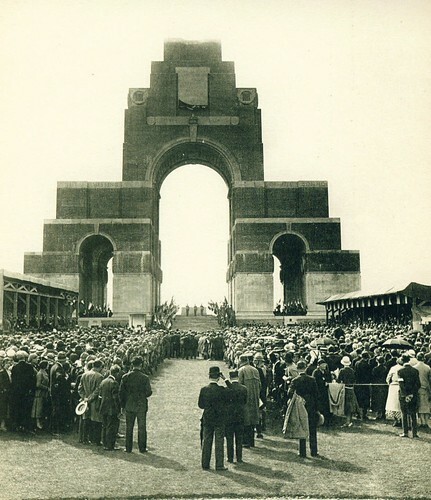 By the time of the 80th Anniversary of the Somme in 1996 it was clear that the number of visitors to the Somme was on the rise and author Mike Stedman called for a visitors centre, which was eventually constructed in a partnership between the local authorities and the Royal British Legion. Today the Thiepval Memorial receives more than 250,000 visitors annually, making it one of the most visited locations on the Great War battlefields.